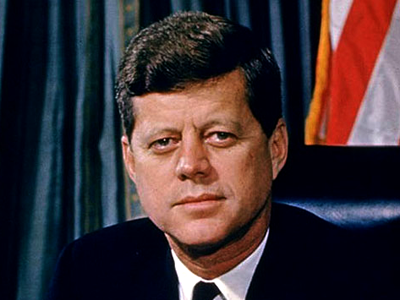 I am writing this on the afternoon of the anniversary of the cold-bloodied murder of President John F. Kennedy by a conspiracy organized and led by the CIA on November 22, 1963. I try to understand these people, how they could so lack human feeling, how they could blow a man’s head apart without hesitation. I can’t. I see his wife and small children at his funeral. I think of the drone attacks chosen by President Obama that kill so many innocent people. I try to comprehend his heart. I can’t. I am sickened by the killers everywhere, terrorists of every stripe who have no hesitation at extinguishing lives. I keep picturing the young Palestinian boys blown apart on a beach by Israeli soldiers as they kicked a soccer ball. What did those Israeli soldiers feel? What do they feel now? Do they feel remorse? Are they disturbed? All over the planet, the killers are at their trade. What did those killers feel as they pumped bullets into so many innocents in Paris? I try to fathom their minds and hearts. The French government, blood dripping from its hands, savages Libya and Syria; the Americans, more countries than I can count. Their leaders give speeches in their crisp shirts and suits; speeches about more killing of those they’ll never see. They seem like zombies to me. How can they do it? Bombs blow up in shopping malls and marketplaces all over the world. Planes with innocents are blown out of the sky. Hooded men execute people. What do the perpetrators feel? I am at a loss as the deadly beat goes on. And I seek hope everywhere. Do all these killers feel anything? Is it indifference or hate? Am I an innocent who is missing something? I know I am sick at heart. Here in the United States we live in a systemic bubble of denial, pretending that we, through our government, aren’t killing innocent people throughout the world, that we are not a terrorist state, that we have not created terrorists by our systematic violence around the world. We wallow in our innocence and await change through elections. But our elections are about choosing the lesser of two killers. People talk about elections as if killers weren’t involved. Americans care about their candidates. But what about the victims of their candidates—can they picture them dead? They think the lesser of two evils is not evil, as if Hillary Clinton is different from a Republican rival, Obama different from George W. Bush. All the while we spread deadly violence around the world and create its reciprocation in the process. I think of Fr. Daniel Berrigan’s words after the burning of draft files by the Catonsville Nine on May 17, 1968, to protest the American savagery in Southeast Asia. Our apologies, good friends, for the fracture of good order, the burning of paper instead of children, the angering of the orderlies in the front parlor of the charnel house. We could not, so help us God, do otherwise. For we are sick at heart; our hearts give us no rest for thinking of the Land of Burning Children. . . . We say: Killing is disorder; life and gentleness and community and unselfishness is the only order we recognize. And then I think of the lovers. Hope rises in my heart. I need hope. I need the love, as I think you do. I think of all the lovers who have gone before us and the witnesses of abiding faith whose cloud trails behind them. Those who chose life over death, love over killing. Gandhi, King, and all the many other martyrs for love and non-violence. Witnesses all. Those who knew that the circle of violence would remain unbroken until all lovers united in an upsurge of non-violent resistance to the killers everywhere. I understand the politics of the killers, the political machinations. I know why they kill, but not how they can. Do monsters roam the earth? Where has humanity gone? What are the killers trying to kill—their own deaths? On Friday evening you stole the life of an exceptional person, the love of my life, the mother of my son, but you will not have my hatred. So no, I will not give you the satisfaction of hating you. You want it, but to respond to hatred with anger would be to give in to the same ignorance that made you what you are. You would like me to be scared, for me to look at my fellow citizens with a suspicious eye, for me to sacrifice my liberty for my security. You have lost. The player still plays. I saw her this morning. At last, after nights and days of waiting. She was as beautiful as she was when she left on Friday evening, as beautiful as when I fell head over heels in love with her more than twelve years ago. Of course I am devastated with grief; I grant you this small victory, but it will be short-lived. I know she will be with us every day and we will find each other in the heaven for free souls to which you will never have access. Us two, my son and I, we will be stronger than every army in the world. I cannot waste any more time on you as I must go back to [my son] who has just woken from his sleep. He is only just seventeen months old, he is going to eat his snack just like any other day, then we are going to play like every other day and all his life this little boy will be happy and free. Because you will never have his hatred either. No doubt there are those who will think that those are nice sentiments, but to focus on the response of one Frenchman to his loss is to play into the hands of those in the West who generated the original violence and who are waging a fabricated war on terror to spread their dominion globally. Perhaps some might think that this is Western propaganda aimed at eliciting sympathy for Western Europeans at the expense of the millions who’ve died at the Empire’s hands. I don’t think so. Antoine Leiris’s response is a cri de coeur of such human love and tenderness that it should awaken in us all the urge to turn from hate to love and embrace the only path that will ever end the cycle of violence—non-violent resistance. The personal is the political. By showing us that love is stronger than hate, that he and his son “will be stronger than all the armies of the world,” Antoine Leiris, one man grieving for his one woman, has sent a universal message that we avoid at our peril. When thinking about JFK, his love of poetry, and Leiris’s beautiful sentiments, I was reminded of a poem by another Frenchman, Jacques Prevert, the poet beloved by Parisians after the barbarism of WW II. I think he speaks to the deepest part of us all.